How do you interpret key PerfMon counters on Windows server when there are over a thousand counters to choose from? This article advices some common key counters to look for, especially in system availability uptime, processor, memory and disk I/O performance. It also explains how to interpret the data recieved. To verify, perform the necessary "show ip route" commands on both router A and B to ensure the route entries are in order. Do note that tagging does not work with BGP. The alternative in BGP is to use community string in AA:NN format (e.g. 100:300). For the adverting routers (typically on customer edge), use "set community" in place of "set tag" in the route-map statement. For the recieving routers (typically on provider edge), use "ip community-list" to describe the community string and "match community". 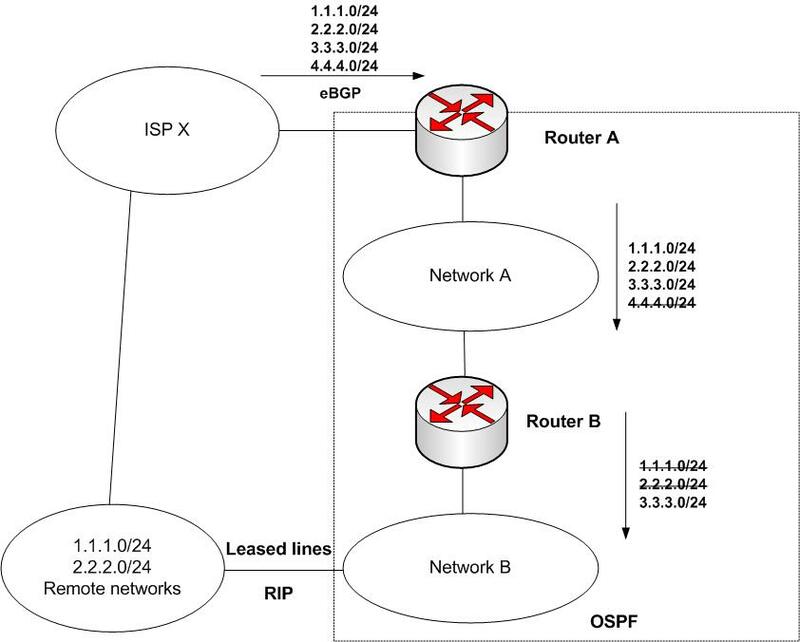 For further example on using BGP community, see this Cisco example. It's always advisable to check the MD5 checksum after you downloaded the new IOS image and again after you uploaded the new image to the Cisco device. Otherwise, your routers may not even able to boot up with corrupted images. There are free MD5 checksum program available on the Internet. One such program is the MD5 Checker. And it's also probably good idea to store the MD5 value alongside with the image. Compare the output value with the MD5 sum that you noted earlier. Basic interface monitoring on SNMP probably only get you some bandwidth utilization rate. But it won't give further insights and break-down on the network applications, like which is the most talkative applications? Which node generate the most traffic? To gain deeper insights, you have to enable netflow monitoring on the routers and use a netflow management console (e.g. Solarwinds Netflow module known as "Netflow Traffic Analyzer") to view the reports. The above example is to monitor all traffic entering and leaving the interface. 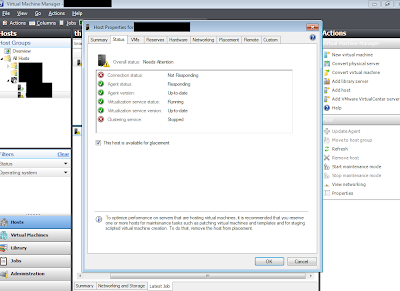 If you wish to monitor a specific flow, you can replace the above with Cisco Flexible Netflow (click on example). 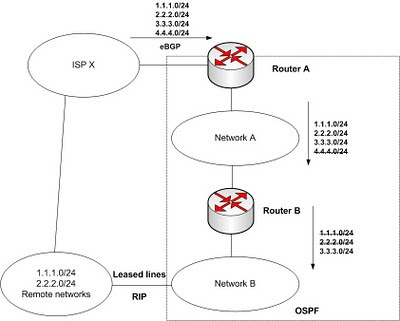 For Juniper J-flow configuration, refer to this example. Login to your netflow server console and you should see netflow messages saying that new netflow information are being recieved and added automatically. If it doesn't, you have to ensure that the node and interfaces have been added to the Orion core. Leave it running for some time and you should start seeing detailed graphs. Just earlier, SCVMM (great management tool for Hyper-V) reported that one of our Hyper-V cluster nodes stopped responding. We raised a ticket with Microsoft Technet. After some days of troubleshooting with the great Chinese Microsoft engineers (with my limited Chinese vocabulary), it was discovered that the Performance Monitor (Perfmon) WMI of the affected node was corrupted and hence unable to report to the SCVMM host. Re-sync the perfmon counter with WMI by running winmgmt /resyncperf. And then restart the WMI service. The parameter 'R' for lodctr must be in capital for the rebuild. This parameter is not even documented on Microsoft Technet. Microsoft System Center Data Protection Manager (DPM) is used to protect and backup other windows systems, which is especially useful for backing up Hyper-V virtual machines. But what happen if the DPM is corrupted or broken? In the event of corruption of the Microsoft Windows registry, system files, or the System Center Data Protection Manager (DPM) 2010 binaries, you can repair DPM by reinstalling it. Repairing DPM involves backing up existing DPM database (using DPMBackup.exe -db cmd), uninstalling DPM, reinstalling DPM and then restoring the database. 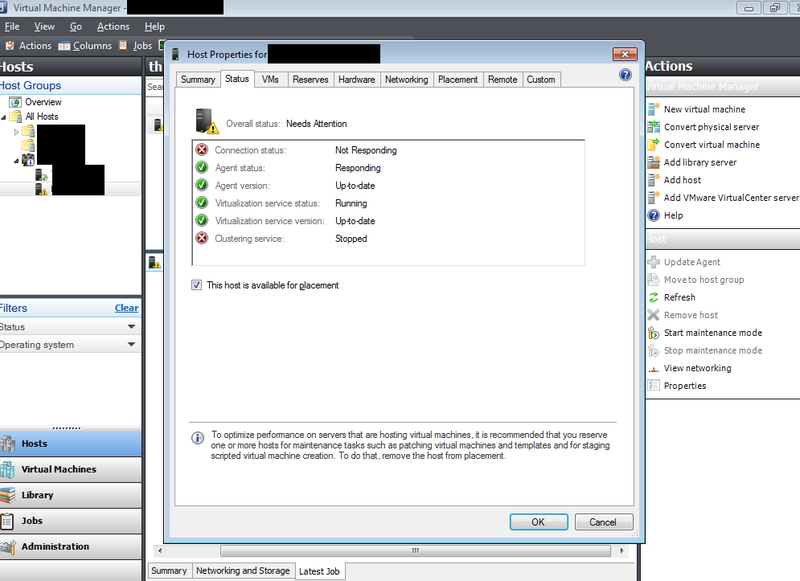 See this technet article for step-by-step. I have just come across a technet blog declaring that SID duplication doesn't matter, especially in a domain environment where Domain SID instead of machine SID is used. Domain SID is re-generated whenever a computer leave and re-join a domain, which is typical for disk imaging purposes. For years, we were taught to use sysprep or newsid to regenerate new SID for every cloned image. "I realize that the news that it’s okay to have duplicate machine SIDs comes as a surprise to many, especially since changing SIDs on imaged systems has been a fundamental principle of image deployment since Windows NT’s inception. This blog post debunks the myth with facts by first describing the machine SID, explaining how Windows uses SIDs, and then showing that - with one exception - Windows never exposes a machine SID outside its computer, proving that it’s okay to have systems with the same machine SID." "Note that Sysprep resets other machine-specific state that, if duplicated, can cause problems for certain applications like Windows Server Update Services (WSUS), so Microsoft’s support policy will still require cloned systems to be made unique with Sysprep"
I would take this with a pinch of salt, as I did experience strange problems in the past for having duplicated SIDs. Or rather, I would interpret the statement this way - even though SID duplication per-se may not cause problems, unpredictable outcomes may still occur, as other machine-specific states are not reset. SID duplication is an indicator of such happening.